Professor York has a background and broad experience in the areas of pharmaceutical material science and processing, and the design and evaluation of drug delivery systems. Over recent years his research focus has been in crystal engineering and particle design of drugs using supercritical fluid technologies, in silico tools for knowledge engineering, and the modernisation of Chinese traditional medicine. Dr York has published widely in these fields and holds numerous patents and has consulted widely. 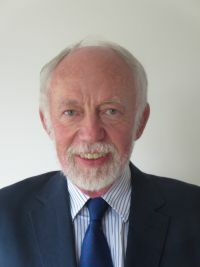 He has been a member of various pharmacopoeia and regulatory committees in the UK and Europe and currently acts as an expert advisor to the MHRA and WHO. Dr York has also been a co-founder of several start-up hi-tech university companies and in 2008 Professor York was honoured as a Visiting Professor at the Shanghai Institute of Materia Medica. His research activities involve pharmaceutical material science, coupled to aspects of chemical engineering and processing, with particular focus on molecular modelling and solid-state structure, particle formation including novel processes using supercritical fluid technology, and drug delivery design.